Updated Monday August 22, 2016 by AUBL Miami. 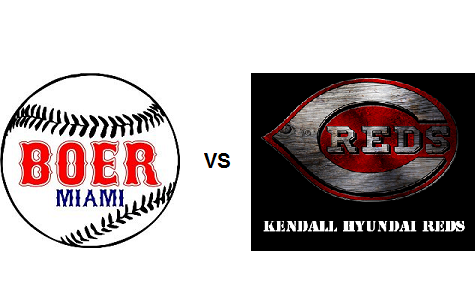 Kendall Hyundai presents AUBL Miami Semi-Pro Baseball special event broadcast game of the week Boer Miami vs Kendall Hyundai Reds Sunday 8/21/16 at 4:00 pm from FIU Stadium!! This game features 2 top teams fighting for playoff positioning! Both teams feature excellent pitching, hitting and defense.